Grey and black grains twist and whorl across the smooth white marble tabletop. 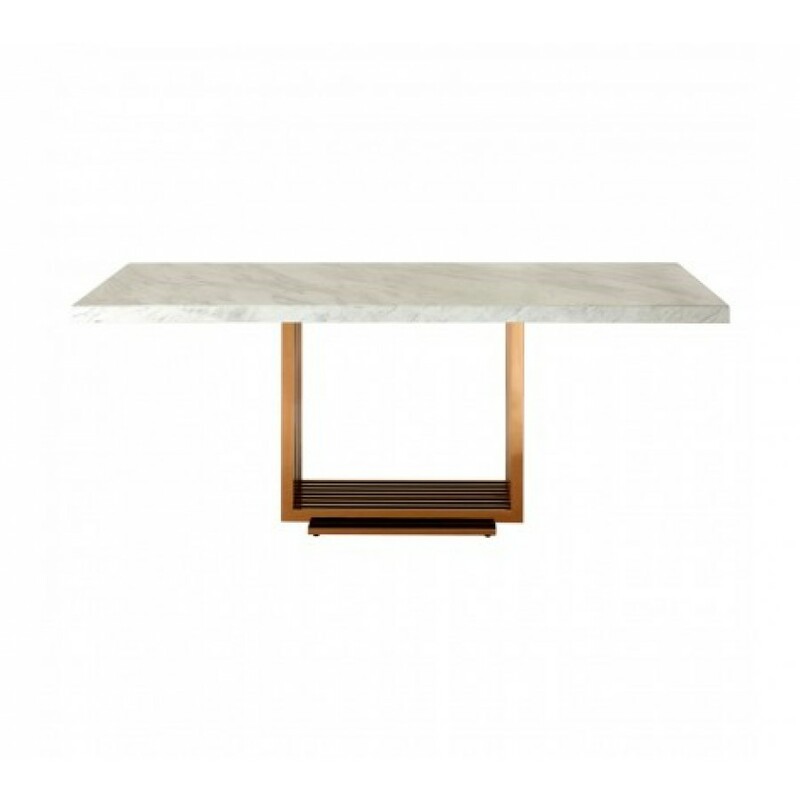 Its wide rectangular surface rests poised atop a stainless steel base, its central position creating an overhang at each end of the table. The columned u-shape design of the base is striking, accentuated by the rich and reflective rose gold finish that counterpoints the muted marble.